Scuderia Cameron Glickenhaus is a NHTSA-Approved Low Volume Manufacturer. This allows us to make 325 US road-legal cars per year. Click to read. | Click to download. We love to share our processes and adventures. and we add new photos each week. We have over 9,700 news articles and counting. Instagram, Twitter, and by coming to see us at events. Here are a few examples of press. "[T]he most amazing thing is that the 003S does not drive like a race car. It actually just feels like a road car. Which, given what it looks like, takes your mind a while to adjust to." "Throwing it down a road, the car has a fluidity to it. It isn’t frenetic or deflected by whatever road environment throws at it, which is comforting. However, bury your right foot in the long-travel pedal and the engine gains a whole new character." "Looks like it’s in fast-forward. 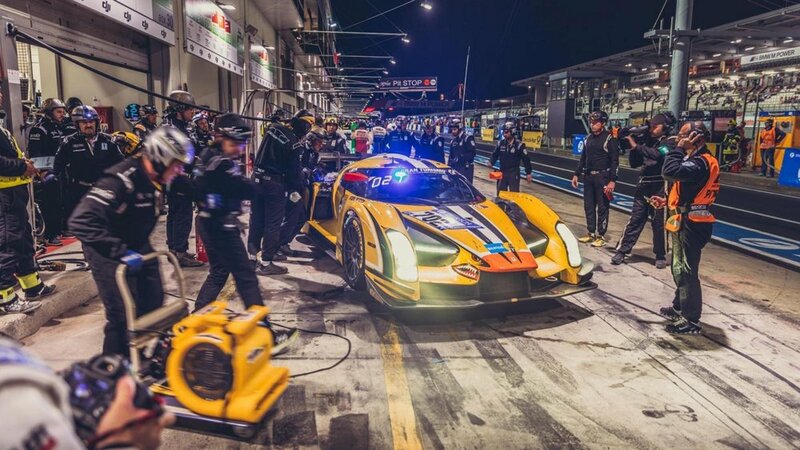 Isn’t"
"Well, remember when James Glickenhaus said the SCG003S would be the fastest-cornering car on sale, capable of more than 2g in the bends? Watch the g-meter in the video; it repeatedly crests the 2g barrier and spends a good chunk of time nudging 1.8 and 1.9. We’re talking about a car that can – on race slicks, admittedly – make you twice as heavy sideways as you are vertically. And that’s something worth pondering for a moment."